I am preparing to setup a 100-ish gallon refugium for my 120 saltwater tank in order to get some of the beneficial plants and algae that my tang devours! Anyway, I've been reading about tunicates and from what I understand they filter nitrates well and feed on phytoplankton. I found two at my LFS. One is fairly small being about 2-3 inches long and brown in color. The other is red-brown and larger around and about 3-4 inches long. I am planning on adding leafy Caulerpa and Hawaiian feather dusters to my refugium along with Chaetomorpha and any other plants and algaes I can get my hands on. I am wondering if the tunicates are a good idea or not. I've read that they are noxious when they die but it seems if they were that dangerous people wouldn't keep them. My LFS is extremely reliable compared to the nightmare stories I've read on here and the owner is really good about picking healthy organisms that he would put in his own system provided its compatible. I have a nitrate problem which is part of why the refugium is going up. 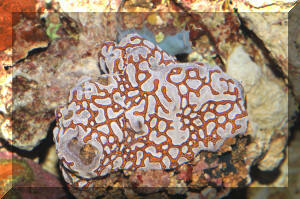 <Tunicates won't help you, they are filter feeders that require a constant input of microscopic food to survive. There are much better ways to control nitrates. See here and related articles/FAQs found in the header. Carbon dosing has become quite popular and is an effective means of reducing nitrates but there are risks involved if not followed to the letter. May want to read here. All that I am reading on here seems kind of two-sided and more on the colonial types of tunicates rather than the individuals. If the tunicates are a good idea will they actually help my nitrate problem or is what I read a myth? Thank You for such a wonderful site!!!! I honestly come here before I buy or do anything with my tank!!! !